Hedgerows should be considered a complete ecosystem, rather than a dull line of single species. Modern hedges which result from poor farm maintenance practice and unimaginative planting of single species provide little in the way of biodiversity, shelter, food or visual pleasure. Good preparation makes planting much simpler: it is easy to plant into ground that has been rotovated or ploughed; in clay soils this also makes it much less likely that soggy pockets will develop which will rot the roots. For wildlife conservation, we suggest the following scheme. · Plant hedging whips (bare rooted plants 1 to 2 years old) in two rows, at 0.33 to 0.5 m centres with at least 1 metre between rows. · Check planting and anti rabbit precautions: water if possible during dry spells. Gap-up during the winter planting season if any plants have died. The gap between rows may seem big, but this is where the smaller mammals and birds will get their shelter; this gap also acts as a corridor for wildlife. A species list is on our website (species list): a mixture is essential to attract a variety of animal life, don’t forget understorey plants. If you want to grow plugs, use seed trays filled with poor quality soil using seeds collected locally, or obtained from suppliers like Emorsgate. These trays will get plants like primrose, foxgloves, campion, yarrow, sorrel, herb bennet, common vetch etc. established quickly. Where possible source suitable plants from nurseries which grow from locally grown seed stock. Some sources of good provenance are given on our Links page. Beware of cultivated plants from overseas. The most reputable suppliers will be able to give seed provenance. Tree guards should be used to prevent deer browsing on the leading shoots of trees; these also speed growth of trees in their early years. A large proportion of amenity trees and shrubs die due to neglect, mainly from lack of water, or from weed encroachment. Mulching with horticultural plastic, newspaper covered with earth, grass cuttings or straw works well. This is particularly important to enable any new trees to get a good start. It is possible to buy mulch mats made of plastic or bitumen (which degrades). 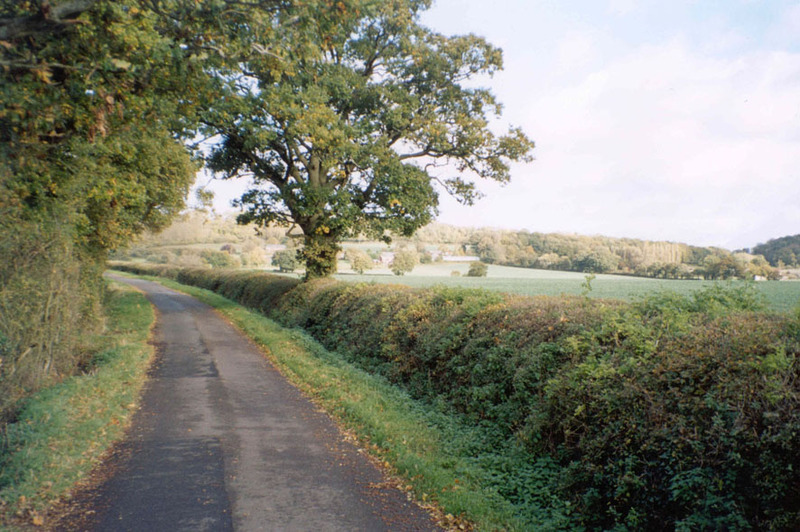 Modern farming practice has resulted in huge amounts of damage to hedges; you will have seen gappy hedges, with no base, caused by careless or thoughtless trimming with flails. ‘A’ shaped hedges are much preferable-they are healthier, stronger and offer a better habitat for wildlife, and better shelter for livestock. Hedge bases are an important habitat for all wildlife. Cutting of hedge base vegetation, particularly in autumn, should be avoided where possible. The tops of hedge plants should trimmed lightlyat p[lanting time to encourage bushy growth. Hedge cutting should only be undertaken during the early spring, in order to avoid the start of bird nesting and to reduce damage to the food supply, and should not be carried out annually. Flails can be used providing the wood is not too thick; scissor action cutters are better. Trimming should follow the direction of any previous hedgelaying to minimise damage to the wood. A healthy hedge can normally recover well from severe cutting, but repeated cutting can gradually cause whole hedges to die off. One major problem associated with mechanized hedge cutting is the decline in the number of saplings left in hedges to grow into mature trees Marking these with fluorescent tape will assist their survival. As hedges grow, they gradually become more tree-like; gaps tend to appear lower down and the stems cease to provide an effective barrier. At this point, the hedge should be allowed to grow sufficiently tall so that it can be laid, both to fill in the gaps and to ensure the long-term viability of the hedge by promoting vigorous regrowth from the base of the hedge. If the hedge is in very poor condition coppicing may be the best solution. A ‘modern’ vertical-sided hedge is almost useless as a source of food and shelter. An “A” shape is good, a rounded shape even better. This wildlife-friendly hedge is in East Hampshire. Hedgelaying involves cutting nearly all the way through the base of the stems and laying them over at an angle of about 30 degrees. The cut stems (pleachers), are laid parallel to each other. Typically, hedges are staked vertically and bound horizontally for strength and to achieve the thickest possible hedge. Stumps are cut as cleanly as possible; this is where regrowth is required . Eventually a new hedge will grow from the established root system. Meanwhile, the laid pleachers act as a stock barrier and protect the regrowth from browsing. Hedges can survive indefinitely if laid every 15 to 25 years. This cost is roughly equivalent to that of fencing. Coppicing a hedge, i.e. cutting it off completely at just above ground level, is also a good way of revitalizing hedges. Coppicing will often take place in conjunction with gapping up and is the best treatment for hedges damaged by over flailing or poor shaping. Hedgelaying : this is recommended as a method for hedge-rejuvenation, wildlife conservation and stockproofing. In a new hedge, put in some shelter for smaller animals - broken clay pipes or pots for frogs and toads – small piles of logs for snakes, mice, insects, beetles etc. An excellent guide can be obtained from the BTCV (though not free), which goes into considerable details about hedges, planting, maintenance, laying etc.